Just yesterday, Ubuntu 18.10 was released. "Cosmic Cuttlefish," as the operating system is called, is available in several flavors featuring various desktop environments other than the stock GNOME -- Xfce (Xbuntu), KDE (Kubuntu), and more. One such variant, Ubuntu MATE 18.10, is popular thanks to its low system requirements -- it works very well on meager hardware. To highlight just how adaptable the operating system is, a special image has been released for both the GPD Pocket and GPD Pocket 2. If you aren’t familiar with these mini-laptops, please know they are essentially what used to be called a "Palmtop." ALSO READ: Ubuntu Linux 18.10 Cosmic Cuttlefish is finally available for download! 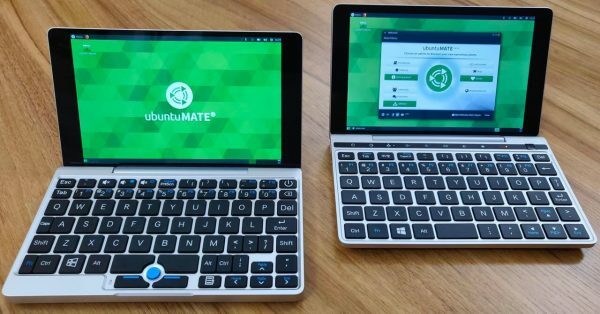 "The Ubuntu MATE team offers a bespoke image for the GPD Pocket and GPD Pocket 2 that includes the hardware specific tweaks to get these devices working 'out of the box' without any faffing about. The GPD Pockets were very successful crowd funded netbook style laptops featuring a high resolution 7-inch touch display housed in an aluminum alloy body," says Martin Wimpress, Ubuntu Mate. Wimpress shares the following Ubuntu Mate 18.10 customizations for this particular hardware. The display in the desktop session is scaled to produce an an effective resolution of 1280x800 which makes the 7-inch 1920x1200 panel readable. (This scaling can easily be disabled for anyone wanting the full native panel resolution). Unfortunately, there are some bugs, which Wimpress shares (hilariously) below. The GRUB2 menu is not rotated on the GPD Pocket. (The workaround is to tilt your head). The GRUB2 menu is not displayed at all on the GPD Pocket 2. (The workaround is to wait and the system will boot after a few seconds or press "Enter" to boot immediately). The Plymouth splash screen is not rotated on the GPD Pocket or GPD Pocket 2. (The workaround is to not care). If you already own one of these diminutive devices, or you are now planning to buy one to use with this special Ubuntu MATE version, you can download the image here. Just scroll down until you see "GPD Pocket."